At the end of April, German Minister of Labour Andrea Nahles presented a bill that would lock out EU citizens from the country’s welfare system. Die Linke’s Thomas Händel spoke with EURACTIV Germany about the issue. 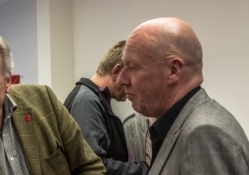 Thomas Händel has been an MEP for the Confederal Group of the European United Left/Nordic Green Left (GUE/NGL) since 2009. Händel was interviewed by EURACTIV Germany’s Manuel Müller. You criticised Andrea Nahles’ bill, which would require EU citizens to live in the country for five years before being granted access to the welfare system. You pointed out that the number of unemployed EU citizens in Germany is already so negligible that they would not present much of an additional burden. So if not many people are going to be affected, is the bill actually that problematic? The proposal is problematic because it gives the wrong signal about the future direction of Europe. Proposing something like this indicates that we are on our way to retreating to a nation state and anti-social policies. I feared that David Cameron’s call to restrict benefits for EU workers would lead to other states wishing to do the same. Ultimately, this goes against the character and spirit of European unity. Nahles herself explained that the new law would “safeguard the free movement of workers”, which would otherwise be endangered. Could too much of social Europe overwhelm the sense of solidarity of citizens? No, quite the contrary. I think that the European Commission’s recent proposal for a pillar of social rights in Europe is a good call. We have a critical situation on our hands here. About a quarter of the population lives on or under the OECD’s poverty line. People are disappointed with the way Europe has developed. They are turned away because of the factors at play: freedom of the single market, trade, commerce, TTIP, all proceed regardless, while social conditions count for little. 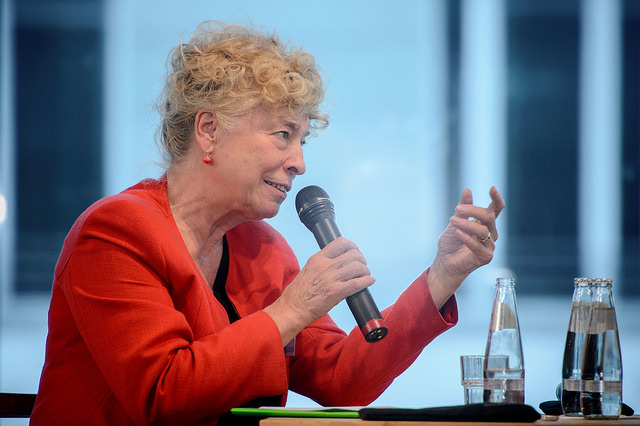 Whether it’s the refugee or financial crisis, Germany always stands in the way of European solidarity, endangering the entire EU, warned Gesine Schwan in an interview with EURACTIV Germany. In this respect, the Commission’s initiative is good. We need more social laws in Europe, so that people are protected and their social rights guaranteed. Andrea Nahles’s bill unnecessarily squared up to the spirit of the freedom of movement. There is no statistical evidence to support the scare-mongering that immigration will burden our social welfare systems. And even if there were to be an abuse of social benefits, then the system we have in place would be capable of dealing with it. Solidarity has been the staple of any speech given about the eurozone or refugee crisis in recent months. Is there a lack of it in Europe? At a meeting in Amsterdam a fortnight ago, labour and social affairs ministers talked about the Commission’s proposal. Everyone said: “Yes, it’s all well and good, but there’s no need for new social laws.” The social situation of 25% of European citizens, and the trend in which things are going, means we do need more solidarity. I have my doubts that the things are moving in this direction, so we have to fight and make sure social laws in Europe are properly secured. Yes. I am optimistic that we can take a lead on this issue, and that we can get some reasonable results. The current discussion going on does dampen my optimism somewhat. 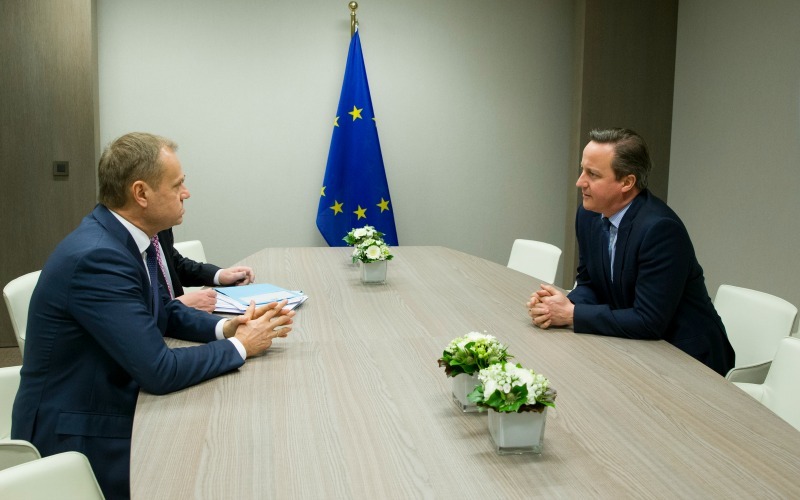 British Prime Minister David Cameron told EU leaders on Thursday evening (18 February) that the ‘emergency brake’ to stop EU migrants claiming in-work benefits – a major condition for his support for the UK staying in the bloc – should last for up to 13 years. – The research shows more than four times as many Britons obtain unemployment benefits in Germany as Germans do in the UK, while the number of jobless Britons receiving benefits in Ireland exceeds their Irish counterparts in the UK by a rate of five to one….